Control your data, extend your reach, improve your processes, grow your revenue. That’s the Statgraphics proposition. But it’s more than that. Statgraphics gets you there with the greatest of ease! Our intuitive interface is unparalleled in power and sophistication matched with simplicity of use. With greatly expanded ability to process millions of rows of data, 260 advanced procedures, an R interface and so much more, our new version, Statgraphics 18® has all that you need to succeed. The current business environment demands reliance on data science to progress. You owe it to your business to take a look. Install a Free 30-day Trial Today! 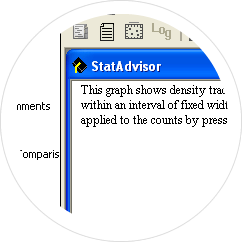 Statgraphics was the first statistical software program adapted for the PC, the first to introduce integration of graphics into every statistical procedure, and the originator of point-by-point assistance tools and countless other groundbreaking features to simplify your tasks. While others were busy playing catch up, Statgraphics led the pack in providing pioneering advances. 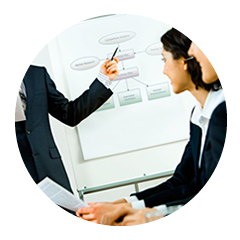 Want an assistant to guide you through each phase of your analysis and skip the learning curve? StatWizard ™ and StatAdvisor™ are at your service. And our trailblazing continues… See what Statgraphics users have to say about the software in their own words. the ability to handle "Big Data" (millions of cases), and significant enhancements to 18 existing procedures. The enhancements emphasize the increasing importance of data visualization, both for unlocking the information that is often hidden in collected data and for understanding the meaning of statistical methods applied to that data. Existing customer? Interested in upgrading? Data visualization. See the big picture and gain new insights when visualizing your data. Version 18 contains a dozen new Statlets to aid in visualizing data. By manipulating the controls on the toolbar, changes over time may be viewed dynamically. With Statgraphics superior graphical capability there is nothing left unseen! R Interface. Statgraphics is now integrated with R, enabling users to greatly expand the capabilities of Statgraphics Centurion 18. With this interface, you can enjoy seamless integration between R programmers and Statgraphics users. Data scientists working in R can now share their work with others throughout the organization, speeding the flow of actionable information. StatAdvisor™. The StatAdvisor makes statistical output understandable by individuals who may not be professional statisticians. It explains the critical insights to be gained from each output table, explaining the significance (or lack thereof) of the results. StatAdvisor output is perfect for pasting into a report to disseminate to others. Interactivity. Communicate with your data in ways you could never imagine. Statgraphics 18 has the tools you need to connect with your data, accelerate your knowledge and make the most out of the results. Use slider bars to change analysis options. Use toolbar controls to zoom in on interesting features or rotate plots to get a better view. Examine unusual points, highlight subsets, or create a video. Quality Management and Improvement. Quality improvement made simple. Need SPC? Effortlessly kick your quality projects up a notch. 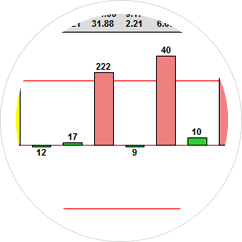 Control multiple process variables simultaneously with the new, dynamic Deviation Dashboard. See our wide selection of tools for quality assessment, capability analysis, control charts, gage studies, acceptance sampling, Monte Carlo simulation, and Lean Six Sigma. Design of Experiments Wizard. Breeze through projects. Reduce costs. 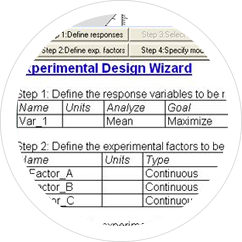 The DOE Wizard steps you through each stage of the experimental design process. 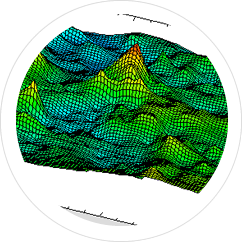 Version 18 adds definitive screening designs to its extensive catalog of screening, response surface, mixture and RPD experiments. Use the dynamic Response Surface Explorer to visualize each factor’s impact on the fitted process model. 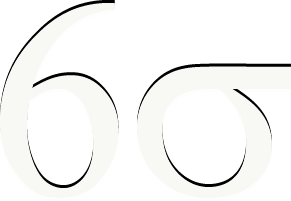 Are you a Six Sigma Professional? Training. Statpoint Technologies, Inc. and its worldwide dealers conduct both public and on-site seminars covering the use of Statgraphics Centurion for statistical analysis. 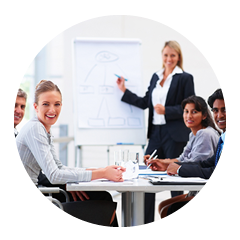 The seminars are appropriate for both new and advanced users. Support. Statpoint and its dealers are dedicated to providing first-class technical support. Statgraphics.com contains a large number of instructional videos, how-to guides and recorded webinars. 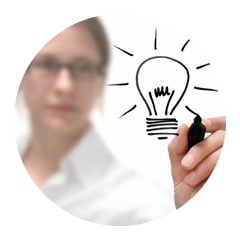 Our support specialists are also available by e-mail or phone and are highly knowledgeable about both Statgraphics and statistical methods. Validation. Before release of each new version, extensive tests are performed to ensure that the program operates properly. For users needing to validate the statistical results for regulatory agencies, we will be happy to cooperate in providing information about our software and development procedures. and get insights on Statgraphics products and ideas! ​Contact our sales team today. Learn more about the many enhancements added to Version XVII. Try Statgraphics Centurion XVII today for free! ​Discover Statgraphics with our full XVII brochure.